Akuri – Parsi style scrambled eggs is a dish that I fall back on for a quick, delicious breakfast. Soft, juicy eggs bursting with flavor in every bite. This is THE egg breakfast you want. Everyday. A simple and easy breakfast that gets eaten to the last bite, in moments. One of the reasons I keep easy egg recipes in my repertoire is because of the fact that eggs are quick to cook. Also, I like them. A lot. Need proof ? 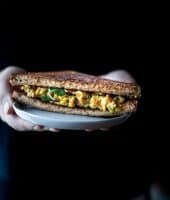 Check out these other quick and delicious eggs recipes : Dim Posto ; Egg Curry ; Minty Egg Curry ; Spicy Skillet Eggs ; Egg Bhurji. Eggs are versatile and people mostly do like eating them. Since eggs adapt to various cooking styles and techniques they are universally accepted as easy to cook food. Which brings me to today’s recipe : Akuri – parsi style Scrambled eggs. Cilantro, chopped garlic, fresh ginger, finely chopped fried onion & green chilies make the base of a really good Akuri. As is always the case with an everyday recipe, every family has its twist. However, some school of thoughts say that Akuri is made with tomatoes and some say it is made with potatoes in it. There are also some versions that are sweet and savory – like the Baruchi Akuri . So what should you do? Do what pleases you. After all food is about you and who you are cooking it for. 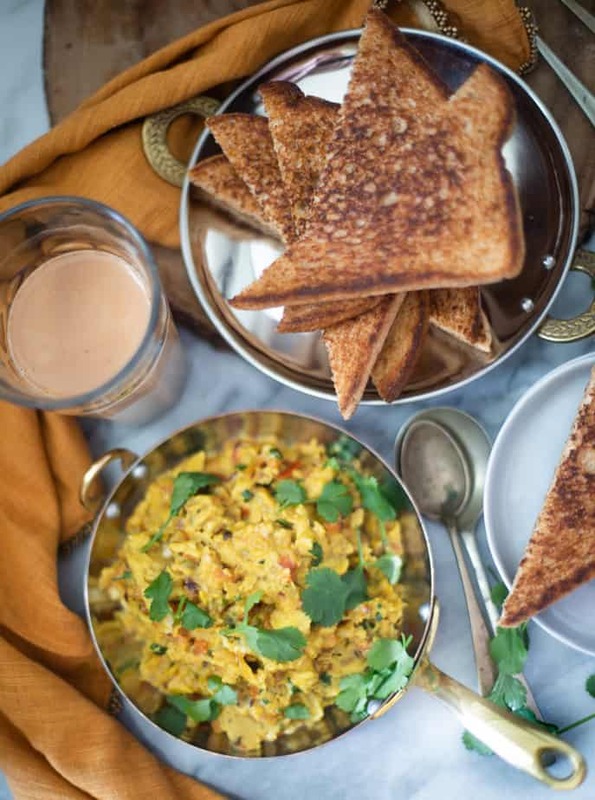 What are the differences and similarities between Akuri, scrambled eggs and egg bhurji? This question gets asked a lot. 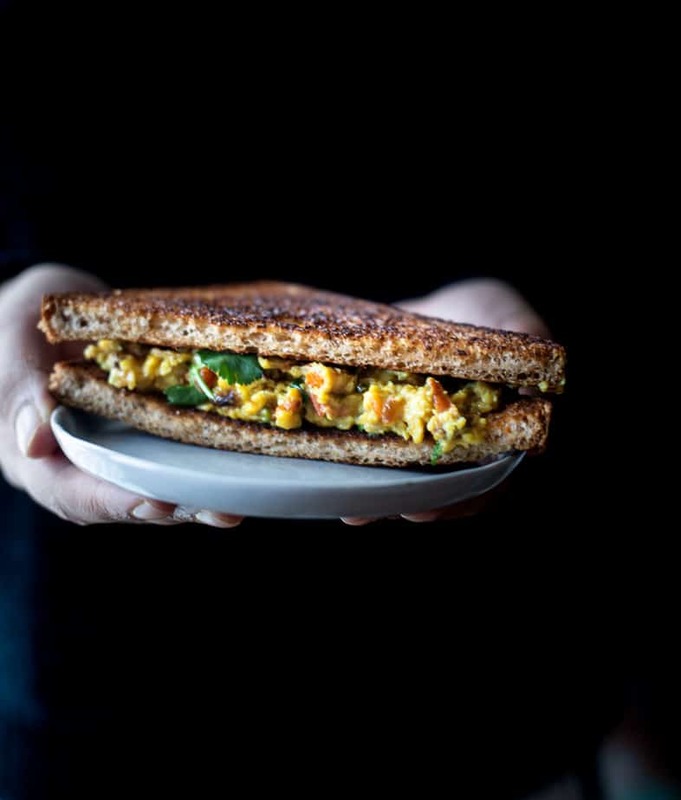 Yes, you are essentially making scrambled eggs – some with spices, some without. Other than that, there are differences between the three. For example, the scrambled eggs are made with the addition of only salt and pepper and sometimes cheese. Bhurji and Akuri on the other hand, are cooked with a lot of add ins and spices. Burji is cooked to a really dry consistency. 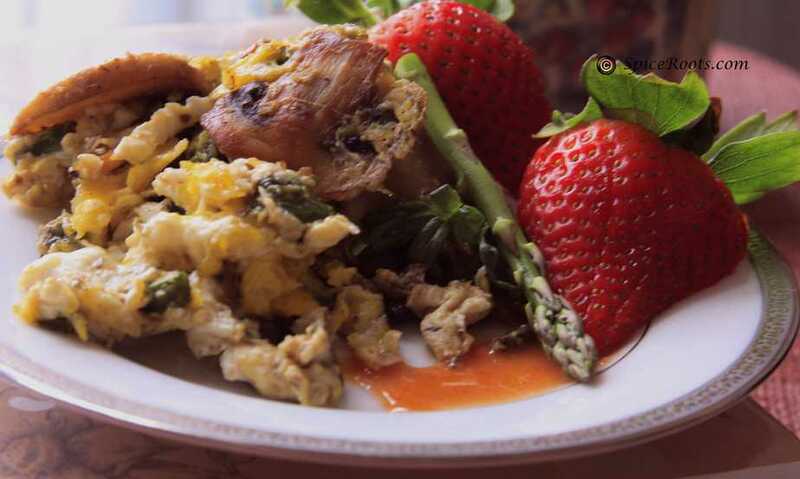 However in an Akuri, the eggs are juicy, fluffy, soft – just like in a French Style egg scramble. 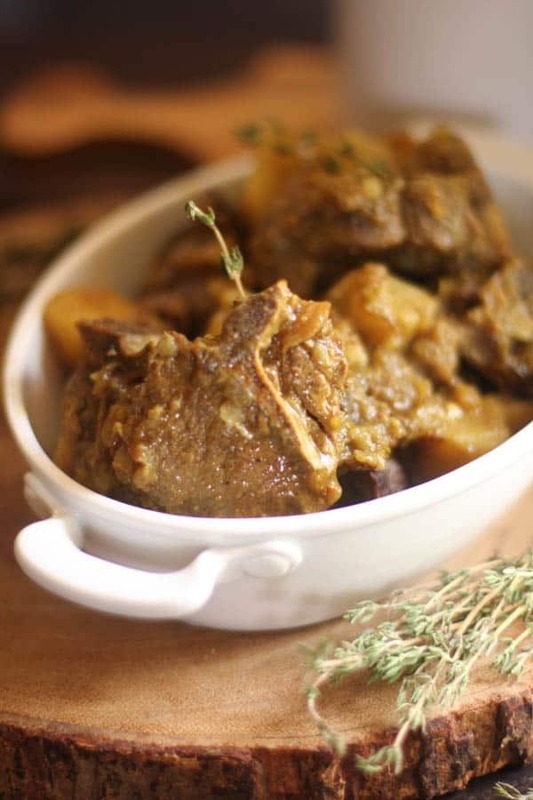 This is one of the iconic dishes in Parsi ( Parsee ) cuisine and is much loved across the country. Serve Akuri on toast because that’s how it is traditionally eaten and served. However, since I eat gluten free I eat it on a cassava flour flat bread. Each recipe in our menu this month features eggs and our host this month is Carol Borchardt at From A Chef’s Kitchen. Come along and see all of these delicious dishes that feature eggs! Welcome to Progressive Eats, our virtual version of a Progressive Dinner Party. If you’re unfamiliar with the concept, a progressive dinner involves going from house to house, enjoying a different course at each location. With Progressive Eats it’s a virtual party. A theme is chosen each month, members share recipes suitable for a delicious meal or party, and you can hop from blog to blog to check them out. Akuri is a wonderful testament for East meets West cuisine. You have the perfectly cooked scrambled eggs with delightful spices and add ins. Play around with the ingredients and enjoy your own personalized Akuri. Heat a 10 inch pan and add the oil in. Add in cumin seeds and cook for a few seconds. Next add the turmeric and salt. Then tip in the tomatoes. Oh I would love these. I like Parisian style eggs for both scrambled and omelets, so the texture would be perfect for me, and I’ve never added these spices to eggs! I totally want this for dinner tonight. HA HA!! It is Barb Spiced! because we want to taste everything else in the dish, especially the eggs. Oh gosh – I love the flavors in these so much. This are a new addition to my repertoire for sure. And would work for me for breakfast, lunch, or dinner! So simple and easy. You will love these, Beth. If this is anything like the first time I tried Shakshuka, I will love it—the spices sound wonderful, as does the fluffy outcome. It is, it is, it is!! Ok tell you what, we are going to cook this in your new home!! xo! Anshie, I cook this quite often. Interestingly I did not know of its Parsi origins so that’s new. Looks delicious. And that’s tonight’s dinner! Hey Minnie!! Food has so many interesting stories. 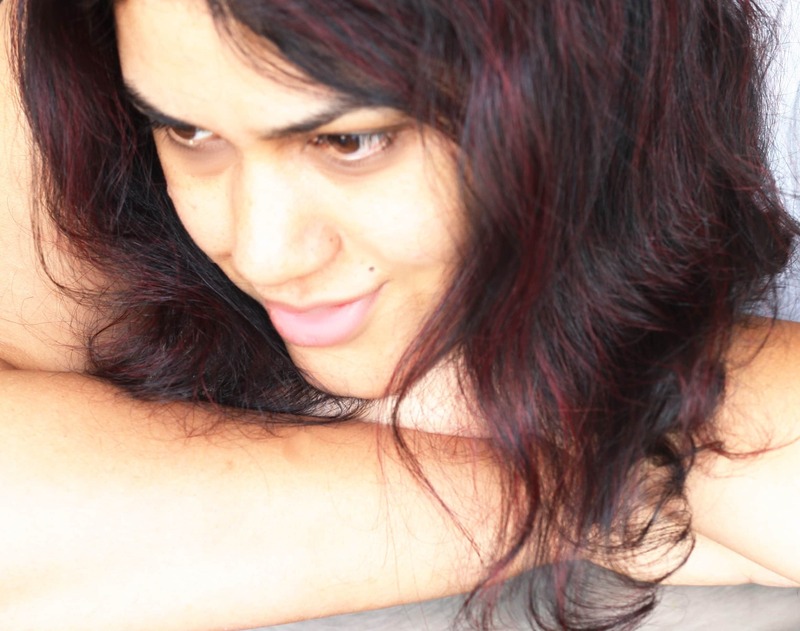 Love Akuri.. as an Indian, how can you not !! These sound amazing! 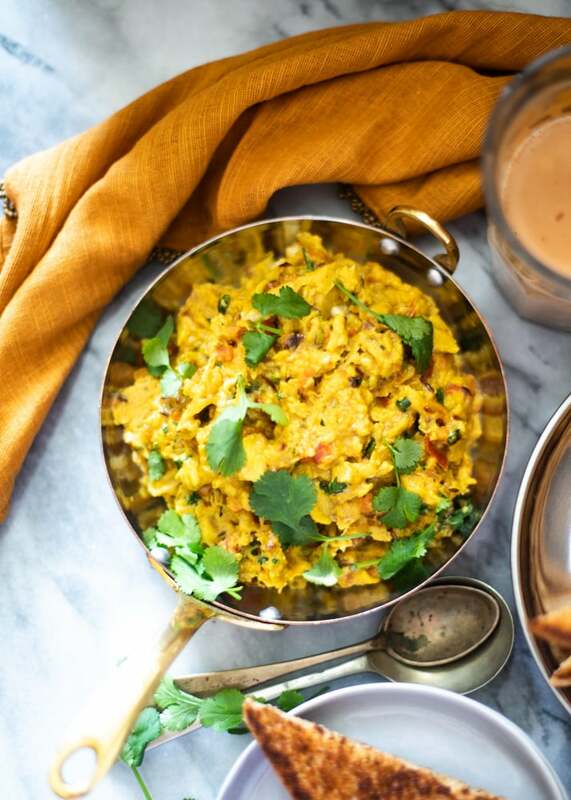 I love Indian food to begin with and I love scrambled eggs so this is definitely a “must-try” recipe! An absolutely “must try”. Just having some additional choices for breakfast is wonderful. This was a great event, Thanks Carol! I love all of the spices in this lovely scrambled egg dish, and I am most definitely looking forward to making it for a weekend brunch with my husband! YUM! Lightly spiced, and just right for brunch! !, Thanks Tamara! 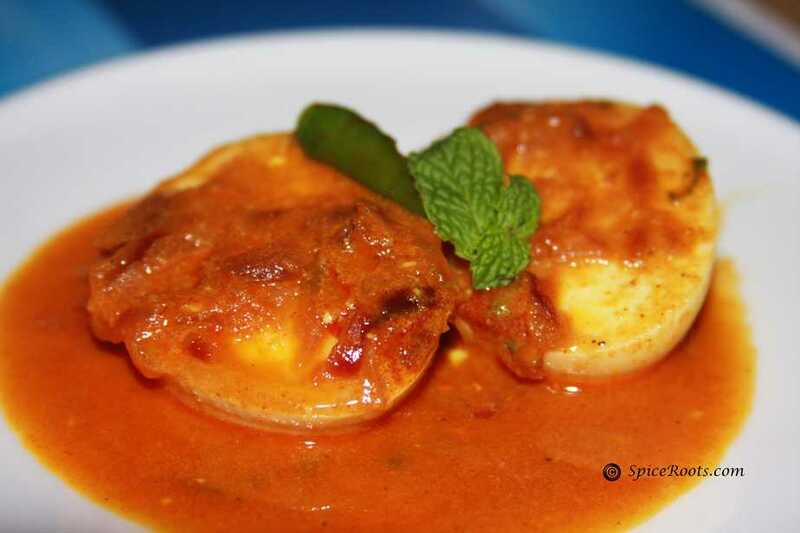 I am so intrigued by spiced eggs, and these sound especially delightful with the tomatoes as well. Looks divine! Eggs are perfect!! aren’t they. they make any meal so much more special! Yes!! Come on over! I will make you a new batch! I KNOW you will LOVE this, Laura! 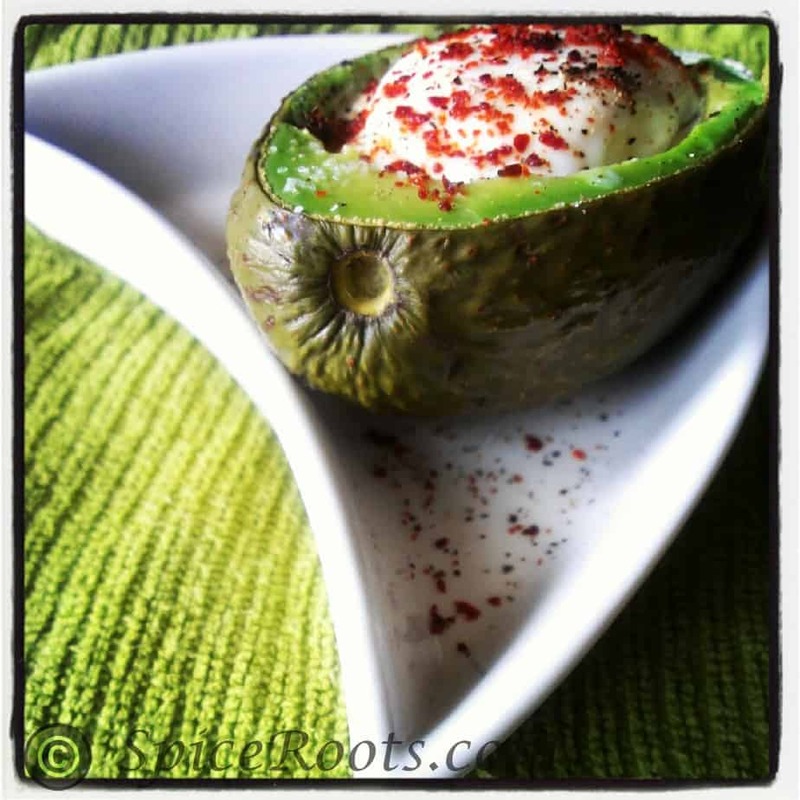 Wow, beautifully spiced eggs cooked in the soft French way, you’ve got my vote! Can’t wait to make these for The Artist! I hope the Artist likes these!! Thanks Jane! I’m learning so much about new ways to prepare eggs this month! This looks delicious. This was a wonderful event. Because I love eggs and because everyone came up with such delightful ideas! Thanks Karen! 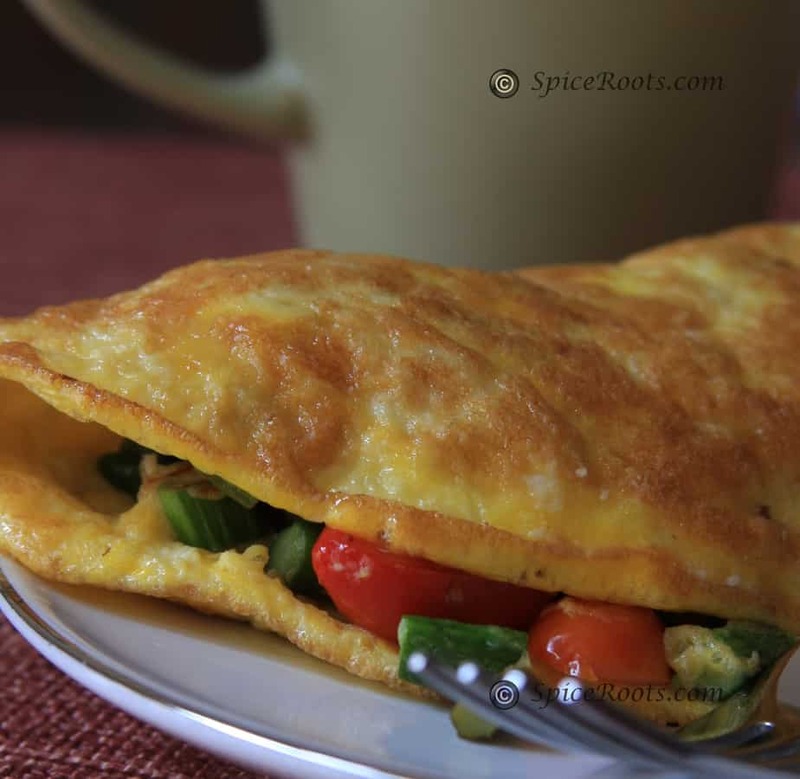 I eat eggs almost every day and your marvelous, flavorful recipe will get me out of a rut!! Sounds so tasty!!! Lightly spiced and just right to perk up a breakfast! yes!